The beloved Harry Potter series has successfully navigated social change well enough to remain culturally relevant twenty years after its inception. As the series ages, inevitably, so do we. It can be challenging to grow with the series alongside the ups and downs of our lives. Here are three ways you can continue to deepen your knowledge and appreciation for the series over time. I was 11 the first time I finished reading the series. I didn’t touch the books again until ten years later, even though I had seen the movies countless times. When I finally picked up my copy of Harry Potter and the Sorcerer’s Stone again, it was as though I was reading them for the first time. I now had the attention span to pay attention to the intricacies of the plot, the sense of humor to pick up on instances of sarcasm and the compassion to sympathize with characters more deeply than I had before. While rereading such a beloved series, you may pick up on plotlines, character development or clever banter you may have previously missed. These intricacies are what give Harry’s story dimension. They also create space for questions. There are so many things that we are left to guess about the wizarding world and from these questions, answered by the text, J.K. Rowling herself or other Potterheads, grow a deeper understanding. If you struggle with keeping names, places and creatures straight, I recommend checking out this reading guide that breaks down all of those things for you. My least favorite part about school growing up was learning how to analyze fictional texts. It did not come easily to me and I always felt like I was missing something. When it comes to Harry Potter, two Potterheads are doing the analyzing for us. 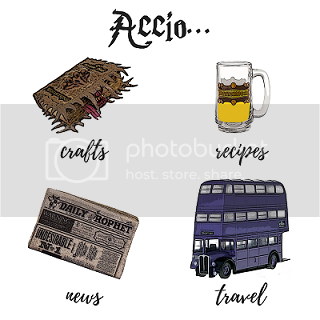 Vanessa and Casper of the Harry Potter and the Sacred Text podcast read every chapter through a particular theme to help raise questions about the series and our society as well as our understanding of the characters. They read the books in chronological order and separate each book by seasons of the podcast – they are currently reading The Goblet of Fire. I cannot stress how important this podcast is for all wizarding folk. Casper and Vanessa do an excellent job relaying their perceived messages from the text and translating them into lessons we can implement in our own lives. In case it hasn’t been clear, I can guarantee that I am shouting my praise for this podcast from the Owlry every chance I get. I am a proud Ravenclaw, but I wasn’t always that way. Growing up with the series, I idolized Gryffndor house. They possessed two embodied I admired: courage and nerve. I assumed that was where I belonged. It wasn’t until I was in college (yes, you read that right – college) that I decided to do some research to see where I actually belonged. Naturally, I turned to Pottermore to sort me into my house and determine my Patronus. When it was revealed to me that I was sorted into Ravenclaw and my Patronus was an otter, I didn’t know what to make of it. However as I read the descriptions of what each of those things meant, it all began to make sense. It might seem silly, but it was the unofficial permission I didn’t know that I needed to continue to learn after my formal education came to a close. I no longer felt self-conscious reading non-fiction books or listening to podcasts whose end goal was to teach you something. I was able to grasp my curiosity and allow myself to use it as a lens through which to see the world. It sounds dramatic and that’s because the shift I felt in myself was dramatic. Keep an open mind and find out for yourself how you would be sorted. Once you’ve been sorted, treat yourself to a House mug to drink your morning cup o’ Joe (or pumpkin juice) from everyday. Next articleLootcrate Unboxing – Giveaway!